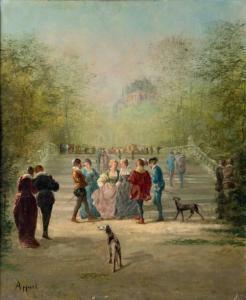 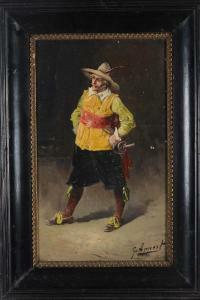 Find artworks, auction results, sale prices and pictures of Georges Appert at auctions worldwide. 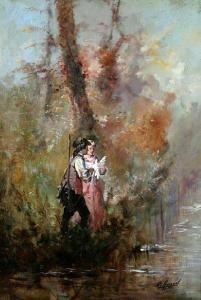 1113 Georges Appert (French, 1850–1934) Nature Lovers, signed lower right "G. Appert", oil on canvas, 23-7/8 x 15 in. 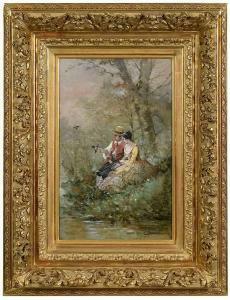 ; fine gilt wood and composition frame, 37 x 28-1/2 in. 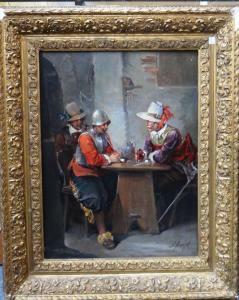 George Appert (1850-1934), Soldiers drinking, oil on panel, signed, 61cm x 44cm.